In the last week article, I talked about Haute Couture “, let’s see now the three different ways to create clothes: The Haute Couture, The Semi-Bespoke or Couture and the Ready-to-Wear. For the Semi-Bespoke, it is what we are thinking about when we talk about on-measure clothes. 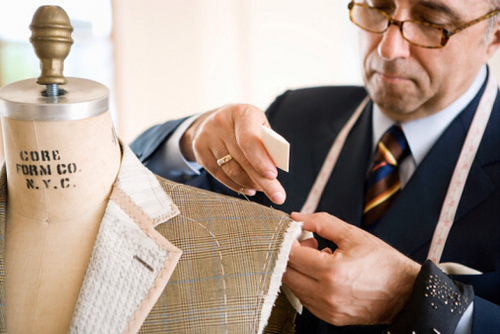 The client has to choose a model and the tailor takes its measures and create the exact same model. Finally Ready-to-wear is clothe create for the general market and sold in standard sizes. For wedding dresses most of the time, a seamstress make alteration on the dress to be sure that it fit well. I hope you better understand the different ways to create clothes, if you have questions, subjects that you are interested in don’t hesitate to comment. For now, I wish you a wonderful weekend and I will be back next week, same day, same hour, to talk about: How to choose your wedding dress! Many people believe the common misconception that haute couture simply means that a garment is handmade. While this is somewhat true, it’s a very vague. After all, I could knit a sweater and call it haute couture, which it most definitely is not. The term “haute couture” is French. Haute means “high”. Couture literally means “sewing,” but has come to indicate the business of designing, creating, and selling custom-made, high fashion women’s clothes. This kind of clothes require hundreds hours of work, including elaborate embellishments and finishes. Fashion that is constructed by hand from start to finish, made from high quality, expensive, often unusual fabric and sewn with extreme attention to detail and finished by the most experienced and capable sewers, often using time-consuming, hand-executed techniques. There’s so much more to the term than simply hand-made, and these other details are what give items that are considered haute couture so much prestige in the eyes of fashion lovers. 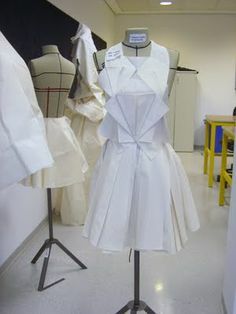 Also, haute couture dresses and outfits are made to the measures of the client. Not only do women wearing this expensive costume look like the outfit has been made on them. Having one of this high fashion dress specifically made for you ensures that the outfit you are wearing is absolutely unique. It also has the advantage that you normally avoid seeing anybody else in the same dress. Haute Couture is the elevated art form of international fashion design. In the following video you can discover the workshops of our providers such as Lesage instuit for its lavish embroidery or Lemarié for its beautiful feathers. If you can’t manage to watch this video on the blog you can find it in this link http://www.marthastewart.com/997194/french-haute-couture-dress-designers#997194 . If you love this article don’t hesitate to share in on facebook, or twitter. We will be back next week for a new item: What are the differences between Haute Couture, Couture and ready to wear.